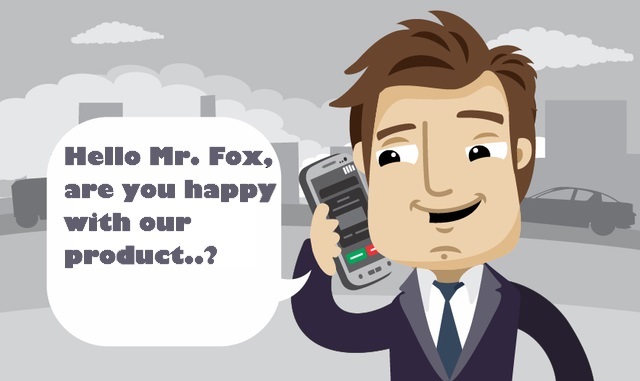 So far, we have introduced various phone calls-related features and related tips in our blog, which are meant to help our customers to get the most out of their cooperation with our company. This blog post is dedicated to a new feature that we have to offer, which is the incoming e-mails tracking option. These statistics will help you to get a better idea about the functionality of your business, as well as about what your clientele is looking for. 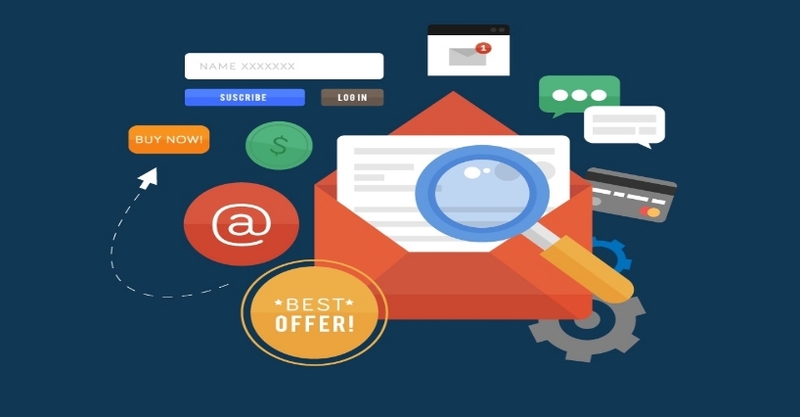 Moreover, an incoming e-mail is a proof of interest from the customer’s side, which can also make it easier for your dispatcher to communicate with the customer, so the importance of taking your incoming e-mail messages into consideration is rather high. 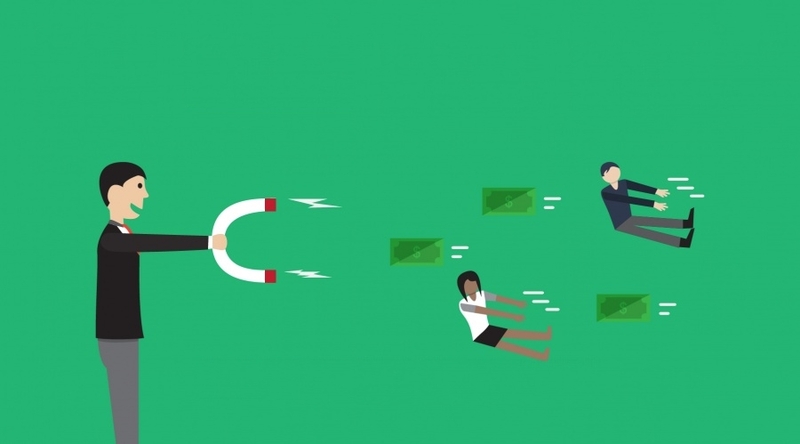 Basically, the conversion of your advertising effort can be measured as easily as the total sum of money that you invest, divided by the number of your valid calls. The higher the percentage of valid calls gets, the more profitable will advertisement become for your. Our e-mails report feature was tested during the last few months, in cooperation with numerous customers. The conclusion that it led us to is that an incoming e-mail can definitely be counted as a valid incoming call and, in many cases, it’s even easier for a dispatcher to convert a potential customer into a client, who will use your service and pay money for it. A person who sends an e-mail message is usually not as much in a rush as someone who calls your company directly might be, so it’s easier to correspond with them and to convince them that you can fulfill the needs that they have. Contact us today for any questions related to our e-mail report feature! 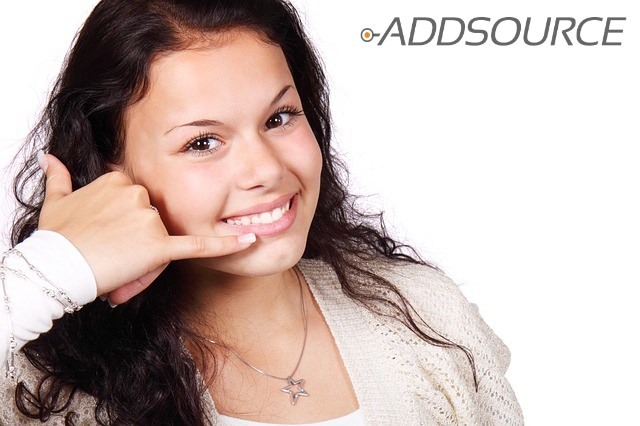 AddSource – More Than Just A VoIP Provider! The use of VoIP (Voice over Internet Protocol) is getting more and more popular nowadays and AddSource is a company that never stays behind technological progress. If you make a market research and check out what the majority of VoIP providers have to offer their clients, you will get very similar offers that don’t differ much from each other. Similar services, similar rates and overall similar conditions. Once you take a look at the VoIP service that AddSource has to offer, you will not only get a price offer that is significantly lower than the average, but also a large assortment of user-friendly tools, which will help you to optimize the operation abilities of your business. It takes just seconds to create a new phone number for your business and you will be able to keep track of its operation, in every possible aspect. Not only will you be able to create as many phone lines as you need, but you will also be granted an ability to see how many phone calls each one of them received, how many of them were answered, how long was the duration of each and every phone call and even what exactly was said during each conversation. All your incoming phone calls will be recorded and stored in our Cloud Call Center. This tool will allow you to find out what your customers are really looking for and how well each one of your dispatchers fulfills their duties as a representative of your company. Once you find out what should be changed and improved, it will also be easier for you to find a way to optimize your call center’s operation abilities. Last but not least, should you ever find yourself in need of guidelines or a piece of advice, you will always be able to reach our helpful staff and get the answers to any of your questions. Just contact us and see how easy it is to make your business function better! So you started to cooperate with AddSource and use our phone call reports. You explored previously unknown to you statistics, made the right conclusions and modified your advertising channels accordingly, in order to get more leads from your most cost-effective advertisement sources. The next step is at least as much important, or even more. Now you need to make sure that the incoming phone calls that you receive will convert potential clients into your customers. This is the factor that will make all your previous efforts pay off and bring money into your business. You should have enough dispatchers to answer all the calls during rush hours. Obviously, if you don’t have enough dispatchers, you will have busy and unanswered calls. A customer who had to wait on the line for a long time will not necessarily be in a good mood and that can affect the chances for conversion in a rather negative way. Furthermore, it’s even harder to retrieve the chance to close a deal with a customer, after a missed call. Also, the less pressure there is on each one of your dispatchers, the more effectively will each one of them be able to work, so spare no expenses on providing good conditions to your employees – you will be the first to benefit from doing so! You should make sure that your customers know what you offer from the ads. Because a phone call accepted from someone who couldn’t understand what you offer, in many cases, is a waste of time and effort of your dispatcher, which could otherwise be spent on an actual potential customer. The dispatchers should know how to talk to the clients in a convincing way. Listen to the recorded phone calls and see how well each one of your dispatchers fulfills his or her mission. Try to figure out what your customers want to hear and guide your employees accordingly. This process is time consuming, but it might as well be the most important one! Should you have any questions about this post, feel free to contact us anytime! The aim of this blog post is to draw our customers’ attention to one key factor, the importance of which simply cannot be overestimated. This factor is the duration of the incoming phone calls, which are received thanks to your advertising efforts. 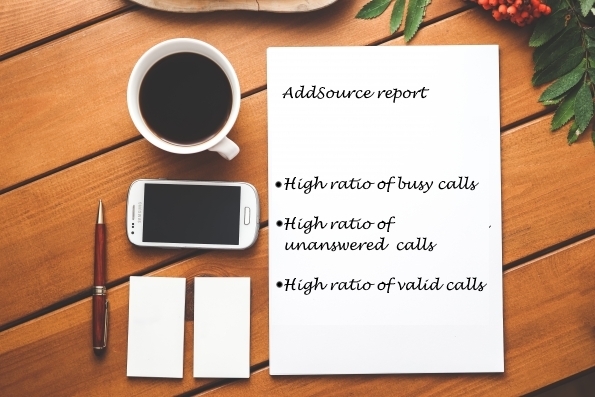 The duration of incoming calls has a crucial impact on their conversion, hence we at Addsource recommend that you explain it to your dispatchers. Remember – correct instructions given to your employees can make your business much more profitable, so they are worth any amount of your precious time! The longer a conversation lasts, the more interested in your service the potential customer will become. This means that your dispatchers should be as informative as possible and provide full answers and all the additional details that could sound attractive for a potential customer. While the average time of a valid call differs from one business to another, if a deal is not closed within the average time frame and the customer is still on the line – your dispatcher is most probably doing a good job. Let the customer feel comfortable, as if you have no pressure at all and your time is not limited. While a short “to the point” conversation that ends as a closed deal is a perfect scenario, your dispatchers should never let the customer feel that they are in a rush and they just want to close a deal, finish the conversation and move on to the next customer. Another important thing that you should keep your eyes on is correlation between the average call duration in your reports and the overall conversion and ROI statistics of your company. If you see that your income is growing at a satisfying pace, but your report shows that too many of your incoming calls are valid, it means that you should redefine your valid call duration parameters, so the valid calls statistics will become more reliable. 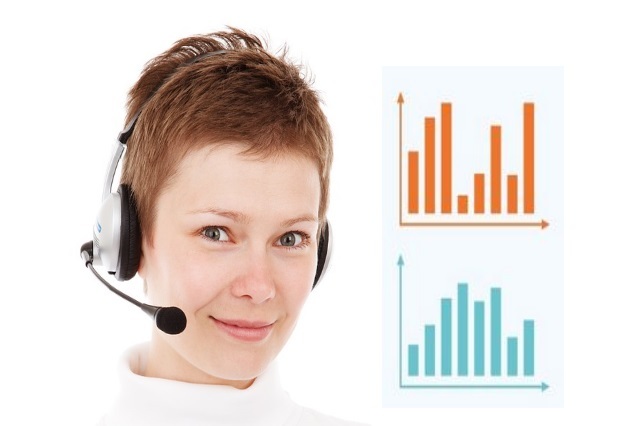 How To Improve Your Incoming Calls Conversion? Being a company that is genuinely interested in the success of the companies that we work with, we would like to share more tips that will help you to get the most out of the incoming calls reports that we provide. So you started to receive our reports, to explore the statistics and to invest your money in truly effective sources that convert better than the others. You are getting more valid calls from potential customers as a result. What’s next? The next logical step is to make your call center convert better. The way your dispatchers communicate with your potential customers is the factor that has the strongest impact on your conversion and, as a result – your income. 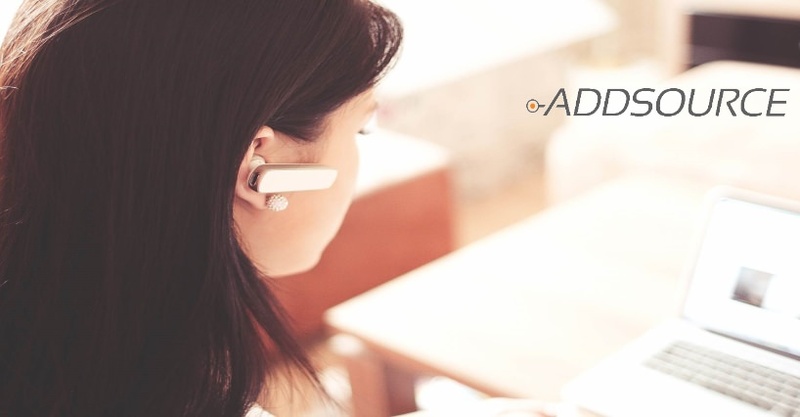 Remember – you are always welcome to contact AddSource to get your dispatchers’ functionality examined by the experts! Use the recorded phone calls to find out how each one of your employees starts the conversations. They should speak clearly and speak to the point. Imagine yourself that you are the client and think whether what you hear sounds convincing to you. If some of your dispatchers don’t, let them hear the conversation, explain them what they should change and make (unexpected) phone calls simulations. A good dispatcher sounds friendly and confident at the same time. Would you trust a person who doesn’t know what he is talking about or sounds hostile? Neither would your clients. The longer a conversation lasts, the higher is the probability that a deal will be closed. It will make the called feel more committed to your company, so every second matters. 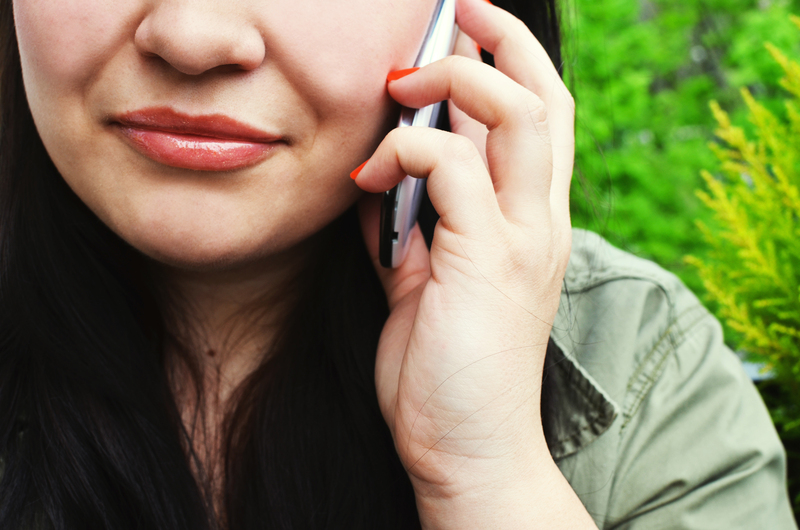 Instruct your dispatchers to keep the customer on the line by providing profound answers. 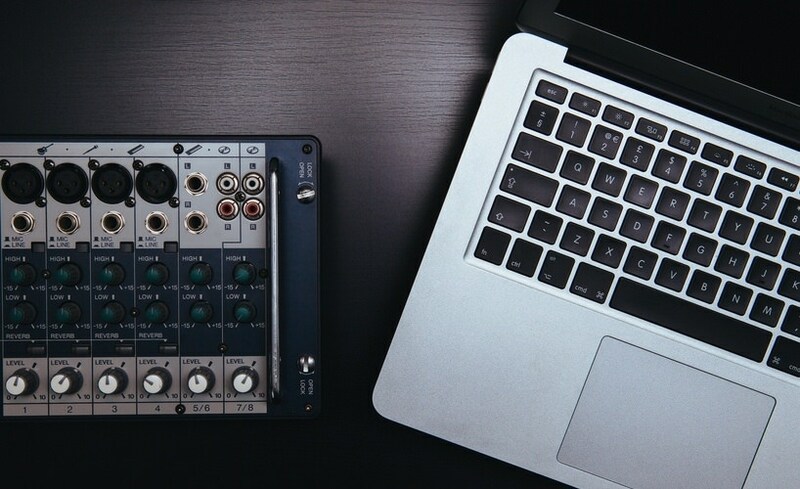 If you are not sure about the conclusions that you should draw from your calls recordings, feel free to contact us and consult with us now! Recordings of all the incoming phone calls is one of the most important types of report that a business owner can use. Such a luxury as the ability to hear a recording of any phone call by pressing a button was unavailable for many decades, but with the help of modern digital technology and the services that are provided by AddSource, it became rather easy. This article will offer some useful tips that have helped our customers improve the functionality of their call centers and significantly raise their conversion. Should you have any questions about call center training, contact us to get a piece of advice! Incoming phone calls that turned your potential customers into real clients will teach you what exactly your clientele is looking for. They can also be used as example of a dispatcher’s work that was done the right way. Let your dispatchers listen to these phone calls, so they will learn what they should and what they should not tell to the customers when they answer a phone call. On top of that – it’s a good idea to modify the content of your advertisements according to what your customers ask when they call your company’s number. Contrary to what some people might think, experience has proved us that it’s equally important to listen to recordings of phone calls that converted well and those that did not convert at all. Oftentimes, phone calls don’t convert because the dispatcher didn’t know how to talk to the person that was on the other side of the line, didn’t sound convincing or was unable to explain something clearly enough. That doesn’t even necessarily mean that he or she is a bad dispatcher. Chances are that your dispatchers (and your company as a whole!) will be able to improve their skills, if you let them hear some phone call recordings and tell them what they might have done wrong and how to improve it! When it comes to call tracking, the first association that advertisers have about it is the ability to keep track of the quantity of the incoming phone calls. Doing this was always possible, even before such elaborate call tracking services as the call reports that AddSource provides were available. But as time passed by and more call tracking options became available and made it possible to analyze incoming calls, it became clear that the total number of incoming calls (either per advertisement service, or all of them taken together) is just a small percent of the information that is necessary in order to draw conclusions about the effectiveness of your advertising sources or about the functionality of the employees who work in your call center. In some cases, our customers were surprised to discover that once the right conclusions were drawn and the necessary modifications were made accordingly, the total calls volume got smaller, but the profitability level got significantly higher. This was caused due to the ability to spot the less efficient advertising sources that proved to be a waste of money – not necessarily because the quantity of the leads they delivered was low, but also because such was their quality level. In conclusion, what you as an advertiser should pay attention to is not only the total number of incoming calls, but the qualified calls ratio, the ability of your dispatchers to handle the pressure and the effectiveness of your advertising services. It’s not hard to figure out what changes should be made, once you see our detailed yet customer friendly call tracking report. We are also always ready to provide a consultation and provide a useful piece of advice. Contact us now in order to do it! The following post is based on a recent experience that we had with one of our customers, which is a company that offers phone reverse mortgage services. This company stands out among our customers, as one that invests a rather big part of its budget in offline advertisement sources, such as TV, radio and very popular newspapers, that charge rather high rates for their ad space. Naturally, this company wished they could find a way to get the necessary statistical results that would allow them to dissect their investment VS profit results and find out which of their advertisement services pay off, which ones don’t and where the majority of their incoming calls are coming from in general. We at AddSource felt honored about dealing with a company of this size and our collaboration started half a year ago. 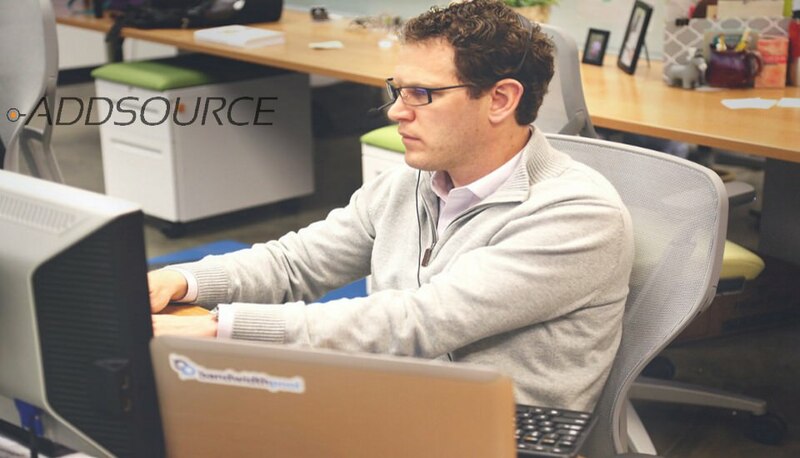 As a call center that works all the time and uses different extensions for sells, customer support and others, they needed to get separate statistics about each one of them – something that not a single company but AddSource could provide. The access to all of these statistics helped this reverse mortgage services provider to figure out that some of their advertisement sources didn’t even recoup their investment. They stopped spending their advertisement money on these sources and thus significantly improved their ROI. The next step was to figure out the source that proved to be the most reliable and worthy of a larger investment and our representatives gladly helped the customer to detect that source, thus raising the calls volume is it has never done before. We also taught them how to analyze their reports more in depth, something that lead to slight changes in the schedules of their dispatchers – a change that raised the percentage of the company’s qualified calls by additional 10%! As a business that has mainly an adult clientele, consisting of people who rely on offline advertisement, this company got from us the tools that can measure their success in the most precise way and improve their functionality. We recommend any company that has a call center with 5 and more dispatchers to contact us and consult with our representatives – we will gladly share our experience and a piece of advice that will help your business to grow bigger! The following post is based on the experience that some of our customers recently had. There is a chance that once you read this post, you will notice that the situation is similar in your case as well and you will find a way to significantly raise the income of your company at once, without making any special effort. The working hours of a business are usually pretty standard. When a business owner decides that the morning shift should start at 8:00 AM or 9:00 AM, it doesn’t necessarily mean that this is really the perfect time to start working, or that it’s better than starting to work an hour later. There is always a chance that a minor change in the schedule of your business will have a serious impact on its profitability. Recently some of the companies that use the call tracking service that AddSource provides, discovered that they either had many unanswered calls that were placed before the official opening time of their business, or after it was closed. Another business that uses our services, which operates 24/7, came across a constantly repeating issue of high pressure during certain “rush hours”. It resulted in rather big numbers of busy calls, some of which could not be retrieved eventually. After a thorough analysis of the call tracking stats of these businesses, we recommended each one of them to change their working schedule. Some customers were recommended to make their shifts half an hour longer, another business was recommended to start the night shift an hour earlier (when the previous shift’s employees are still working as well) and after a two weeks period – it became crystal clear that the ratio of valid VS. non-valid calls improved for each one of our customers, drastically. 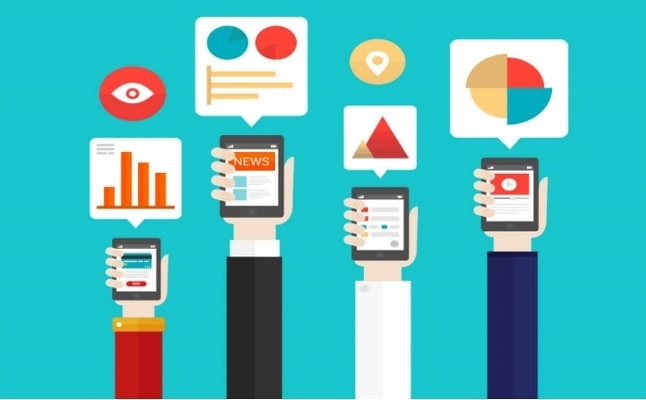 To provide call tracking reports is not the only aim of our company. Our employees also specialize in helping our customers to draw conclusions that will help to raise the level of effectiveness of their businesses. If you are not sure about the conclusions that you should draw from your tracking call reports, feel free to contact our team right now! 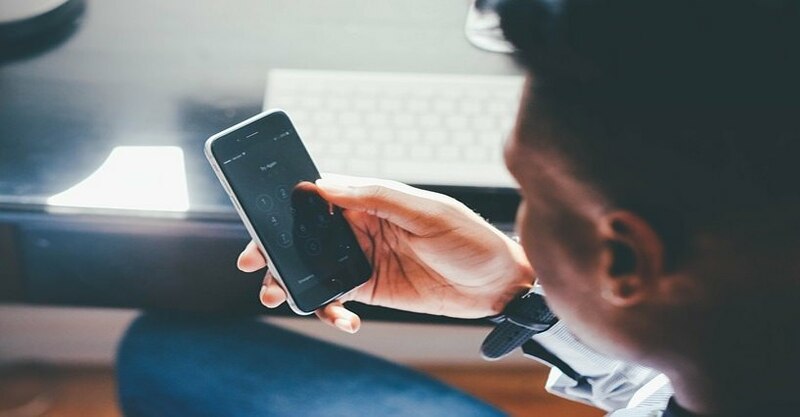 One of the most important things that every business owner who tracks his incoming calls should remember is the fact that a call tracking report, no matter how detailed and informative it is, is not an aim but a tool. The conclusions that one draws from call tracking statistics are the ones that can improve the functionality and the profitability of a given business. The call tracking reports that AddSource provides don’t require thorough investigation at the highest resolution, in order to draw conclusions that can immediately reveal some of the soft spots of your business. Detection of your soft spots is the larger part of the way that a business has to pass in order to move forward to the next level, in terms of efficient functionality and profitability. High ratio of busy calls – it means that there is not enough manpower to handle the pressure. In this case, it’s recommended to check out when these calls take place. You might discover that if some of your dispatchers start their shift a bit earlier, there will be enough of them during the rush hour to answer all the incoming calls. High ratio of unanswered calls – it might be caused by a wrong extension forwarding issue, or maybe some of your dispatchers just don’t bother to call back to the customers, whose phone calls were unanswered. High ratio of valid calls appears in the report, but not so many deals closed – you might need to reconsider your valid call duration. The more profoundly you analyze your call tracking reports, the more useful information you will find, but there is no need to listen to each and every call in order to draw some conclusions that can make a huge difference. 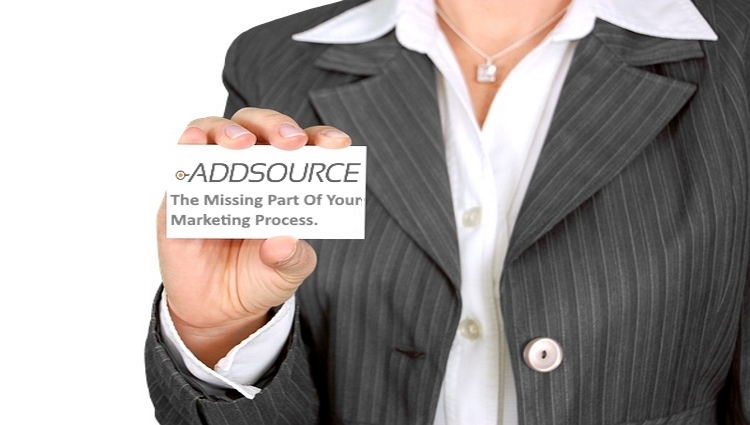 Our staff at AddSource will gladly help you to analyze your report and provide a useful piece of advice as well!